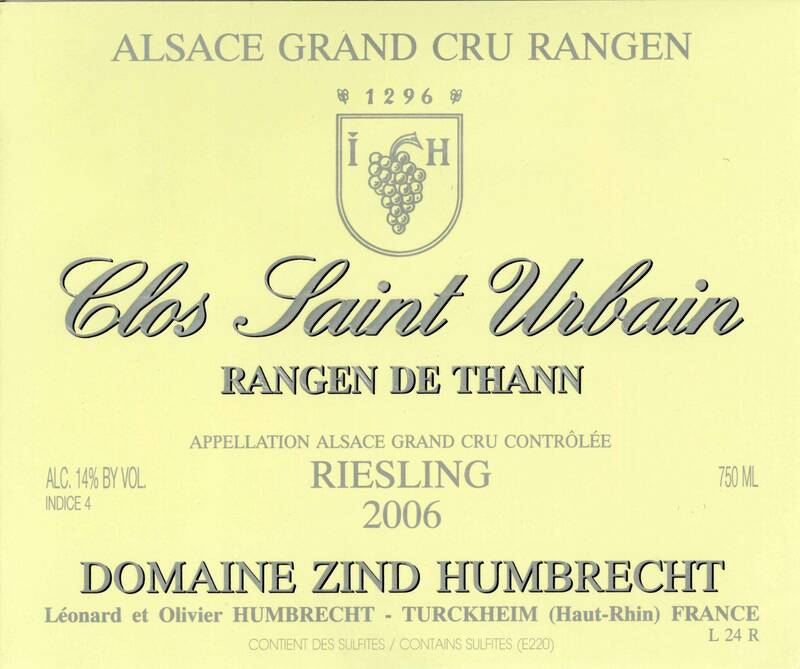 The Grand Cru Rangen enjoys extreme growing conditions: crazy steep slopes (80 to 100%), unusual sedimentary volcanic soil, much higher altitude (between 350 and 450m elevation) and a climate than can go from very dry and hot to very cold and rainy, due to he proximity of the river and the Vosges mountains. There is no doubt that these factors do help to produce wines with strong character and a very strong sense of origin and place. 2006 will stir up comments, there is no doubt about that, as ALL the wines from the Rangen have a special personality. First, botrytis was very important, especially for the Riesling and Gewurztraminer, which explains the higher residual sweetness and darker colour of the wines, but fermentations were also very persistent, transforming a high proportion of the sugars into alcohol. The Riesling Rangen was initially presented as a late harvest, but thanks to a high acidity and good fermentation, the wine has now lost some of this character, but still remains with an Indice 4. 1/2008: the nose shouts Rangen before anything else. There are strong aromas of herbs, ginger, aromatic plants (thyme) and of course, the classic flinty/earthy volcanic aromas. The importance of botrytis shows more through the darker gold colour than the nose, even if there are traces of honey aromas. The mouth is dense, rich, packed with toasted aromas and again finishes on dry flinty, rubbed stones flavours. The acidity is high, so the sweetness is well balanced. I can predict a long ageing potential here!